As content marketers, we tend to care quite a lot about our readers’ feelings. Did they make it to the end of the article? Did they laugh to that joke? Were they bored at some point? Those are all questions we wish we got answers to. I wish I can send surveys to my readers with those questions at the end of every blog post. Fortunately, there are a few tricks that bring us a bit closer to our customers’ heads: emotional and sentiment analytics. Although feelings and moods can be quite difficult to measure, there are still ways. Sentiment analysis and emotional analysis are two key methods experts use to quantify audiences’ emotional engagement. You can use them in your content strategy to unveil readers’ emotional responses to your content. If you manage to uncover how people feel about your content, you can easily make it perfect. Do more of what they like, and do less of what they hate. It’s quite simple. 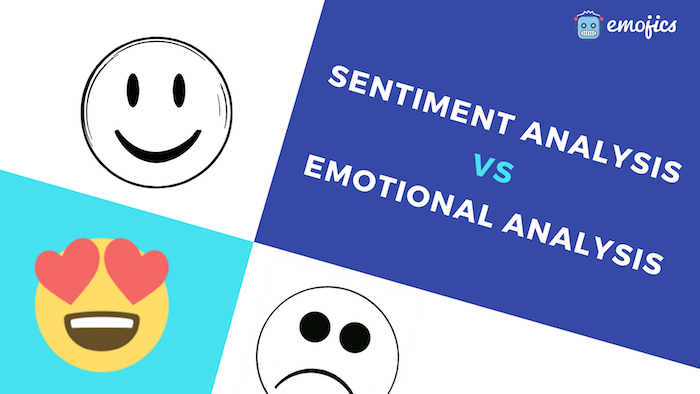 Although they’re often used interchangeably, sentiment analysis and emotional analysis are not quite the same. They’re in fact two distinct methods that can give you two different types of insights about your readers. Some field experts see the emotional analysis to be a deeper layer of sentiment analysis. In this article, I’ll explain what each of this methods entails, and unveil how they can help you bring your content closer to perfection. Although synonyms, “Sentiment” and “Emotion” do not express the same thing. Looking at the dictionary, a “sentiment” is defined as an opinion or view. As for the term “emotion”, it refers to “a strong feeling deriving from one’s mood”. Now when talking about sentiment and emotional analysis, we’re dealing with two distinct evaluation methods of people’s moods. They both aim to better understand the readers, and give insights about their emotional responses. Yet, when it comes to how they achieve it, each has its own ways. Sentiment analysis aims to catch the general feel or impression people get from consuming a piece of content. It doesn’t focus on the specific articulate emotions. It rather relies on a simplified binary system of “positive” and “negative” responses. We only look to know if the reader had a positive or negative experience with the content. The nuances of emotions don’t count in this case. It’s a simplified analysis method that presents insights that are easy to process and quantify. This method has proven its efficiency in bringing valuable insights about both audiences and content. On one hand, it helps businesses put a finger on the preferences and inclinations of readers. If you get a 60% negative feedback on a blog post, you’d know that your audiences are not specifically attracted to that article. Maybe they’re smarter than you think. Maybe they have different pain points than you initially assumed. On another hand, getting sentiment feedback helps you better assess your content. If you get a positive response you know you’re doing something right, and you should do more of it. Bottom line, sentiment analysis help you find the right content/audience match. Contrary to sentiment analysis, the emotional analysis relies on a more sophisticated and complex system. While the first one uses a simplified binary categorization, the latter relies on a deeper analysis of human emotions and sensitivities. This method highlights the nuances between the different feelings readers express. It’s a more meticulous, thorough look into the degrees and intensities associated with the deviations of each emotion. Unlike sentiment analysis, emotional analysis is inclusive and considerate of different variations of human mental subjectivities. It’s usually based on a wide spectrum of moods rather than a couple of static categories. Inside positive it detects specific emotions like happiness, satisfaction, or excitement -depending on how it’s configured. Emotional analysis goes a step further into audiences motives and impulses. It gives valuable and exact insights that are easily transformed into actions. If you get a high percentage of confusion as a response, you know that you need to write simpler and clearer content. If the prominent feeling is boredom, you’ll need to add some storytelling or jokes. If your audience is angry, you know that you should consider a different perspective. 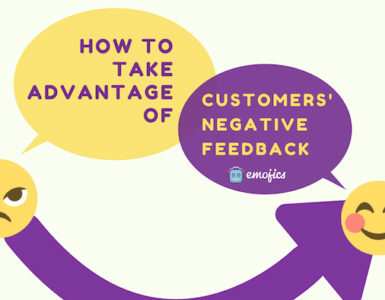 You can learn more here about how to take advantage of negative feedback from your audiences. Human emotions are so complex, and reducing them to positive and negative is certainly a huge miss out. If you aim to leverage your marketing, you will need to get a holistic view of your audience’s feedback. Dividing emotional feedback into positive, negative and neutral can only give you a shallow understanding of your public. You’ll need a dig deeper if you’re willing to understand the motivations and blocks of your customers. Unlike sentiment analysis, emotional analysis provides you with an in-depth understanding of people’s actions. To understand why someone bounced or stuck through a post, you’ll need more than a negative/positive percentage. What you’ll need is an accurate number representing how enjoyable, frustrating, or boring your content was to them. Because that’s the key to identifying the causes to the failure or success of your content. While sentiment analysis helps you know how your content is performing, emotional analysis leads you to understand why. In a way, sentiment analysis catches only one dimension of the wide universe of human emotions. If you’re aiming to improve your content, “positive” and “negative” can be quite frustrating attributes. You would simply not know what to do with that piece information. It’s too generic. On the other hand, if you know the specific emotions your readers are feeling, it’s much easier to take action. Emotional statuses become part of the other metrics you track to improve your content performance. And if you know what your content inspires, you can easily pin point where it’s succeeding, and where it’s failing and take action accordingly. Getting feedback from audiences is not always an easy task. In fact, it’s almost impossible. Rare are the readers that would take the time to tell you how they feel about your content. They don’t have the time. But you can always find tricks to make it happen. Here are a few simple ways that don’t require some sophisticated AI technologies, and that you can start using today. Most of them will be useful but will have some limitations. 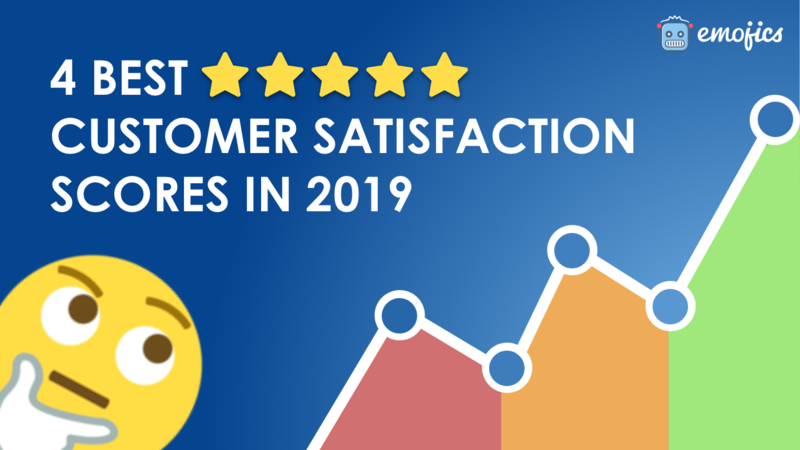 Surveys are thought to be the most straightforward method to get to your customers’ heads. Set up a few questions, and hit send to your email list. It sounds easy, doesn’t it? You can’t just send a survey to users and expect an automatic response. No one gives up data for free. So if you want to use surveys you’ll need to give people incentive to respond. 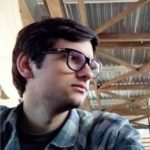 Give away a promo code, a useful resource or some exclusive content if you want to get surveys filled. A major drawback from surveys is that you don’t get immediate responses. Emotions are volatile. And if you have to wait for the time people get to the survey and answer it, it’s already too late. Emotional feedback should be caught on the spot not 5 minutes later, and especially not few hours later. Otherwise, the data collected would be simply irrelevant. The second method you can use to understand your visitors feelings is analytics. Tracking bounce rate, conversion rate or time on pages can tell you something about how people experience your content. Yet, those metrics are often still not precise enough to clearly point out how readers feel. A high retention rate could be interpreted in different ways. The article may be great, or maybe just too long. It could be absolutely captivating content, or completely confusing content that requires long time to grasp. Sometimes, it gets hard to read analytics. Now I’m not saying that those metrics are misleading or irrelevant. Those will probably get you really close to knowing how people interact with your content. You can definitely deduct a correlation between a high conversion rate and good content. However, they’re still not telling you how your visitors are emotionally responding to the content. To catch readers’ emotions you need an instantaneous reactions capturer. And reaction buttons are a great way to do that. Facebook uses reaction buttons to better know its users. It was proven to be a great way in capturing the exact emotion the user is experiencing at that moment. Now when dealing with content marketing, reaction buttons are an ideal solution to perform an emotional analysis. They operate on the spot, they’re engaging, and they offer users a fun and attractive way to interact with your content. Emojics is a tool that functions that way. It uses reaction buttons to capture immediate emotional feedback. The buttons are customizable emojis which represent the ongoing mood of the reader. 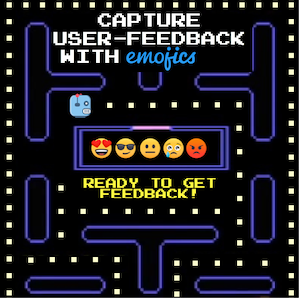 Users can choose the emoji that best illustrate their feeling and submit any additional feedback if they wish. Emojics makes the gathering of emotional responses an easy and enjoyable process. It also makes it entertaining to the user to present feedback. That feedback is eventually processed and presented as qualitative insights about your users’ emotions. It also provides you with additional analytics like the interaction or success rate. Those are insights that can be greatly revealing of the experience visitors are having on your website or blog. By now you should be able to spot the gap between sentiment and emotional analysis. They certainly both aim to better understand human sensitivities, yet they differ in the ways to reach that. While emotional analysis requires more resources and effort, it remains more efficient and insightful. As human minds are complex, and to grasp that complexity we need thorough examination. By investing in the emotional analysis you get two major takeaways. One, you get the chance to transform your content and make it perfect for your audience. And two, you get enough insights about your audiences to nurture valuable relationships with them. And at the end of the day, that’s the greatest takeaway you could get. Valuable and strong relationships with your customers is key to growing your business.